Prepare a cookie sheet by covering with foil. Mix together the sugar, peanut butter, and egg, in that order. Scoop spoonfuls of the dough and put them about an inch apart on the foil-covered cookie sheet. 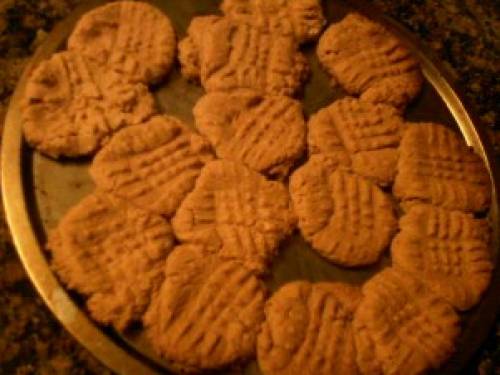 Then, take a fork and press down each cookie, crisscrossed. Bake in the oven for 7 minutes, or until golden-brown.